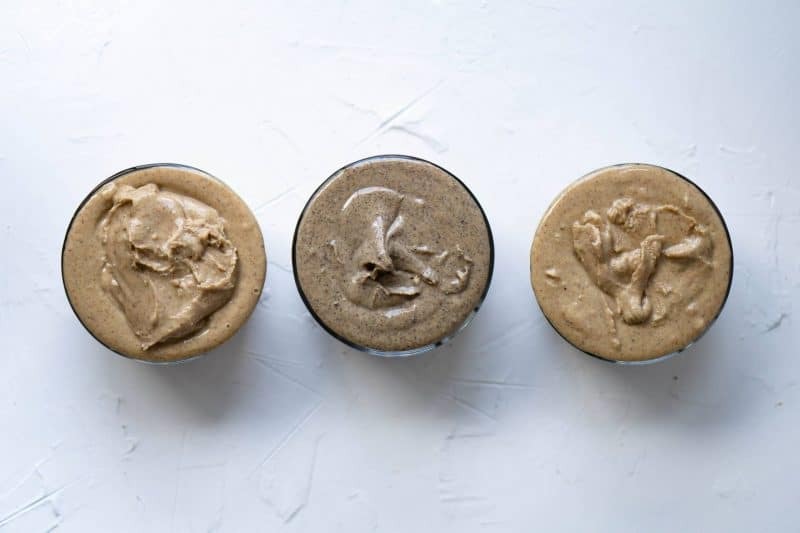 Let me tell you about my love for homemade nut butters. 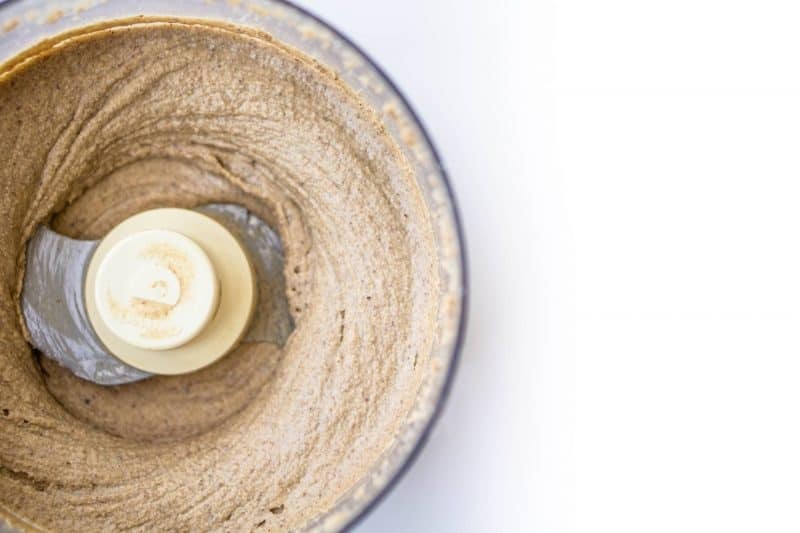 It dates back to the early days of this blog when I tried desperately to first make a batch of almond butter in my Vitamix (pro tip: use a food processor). Once I perfected my recipe, I started giving some to friends who then promoted it so much that people wanted to buy it. I made almond butter for a long time. I knew just how many batches it would take to burn out my processor (three) and would come home from work to fulfill orders. I ate copious amounts until finally I made myself sick of it. Since then I have moved on to a new love: cashew butter. I’m effectively doing the same thing as I did with almond butter (minus selling it) and I’m really hoping a day will never come when I get sick of that too. 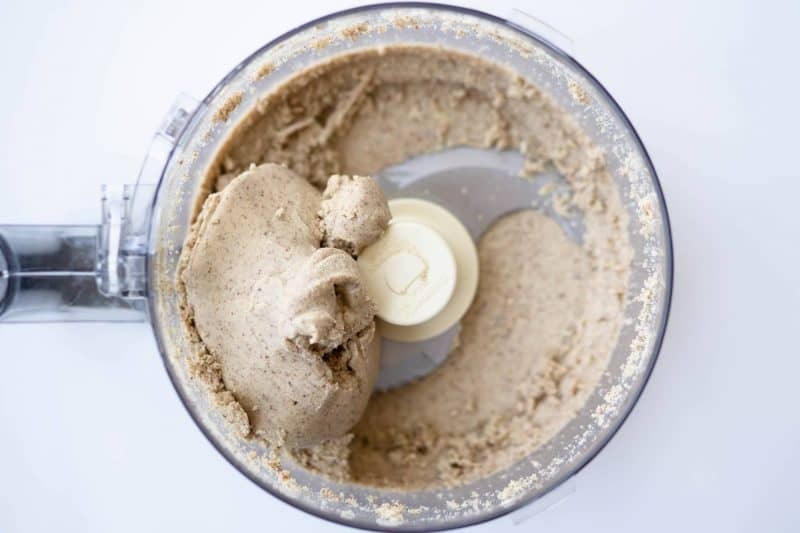 I have made plenty of different types of nut butters, but never a combo like in today’s post. It’s literally so easy to make that I wanted to share different flavor options since the base recipe is the same. The best advice I have is to turn on your processor and walk away. I turn it on in the background, do work on the computer, and either hear it change consistency or just check it periodically. Many people, especially with almond butter, worry that it’s taking too long and stop the process preemptively. Relax, let the natural oils break down, and get ready for a treat. 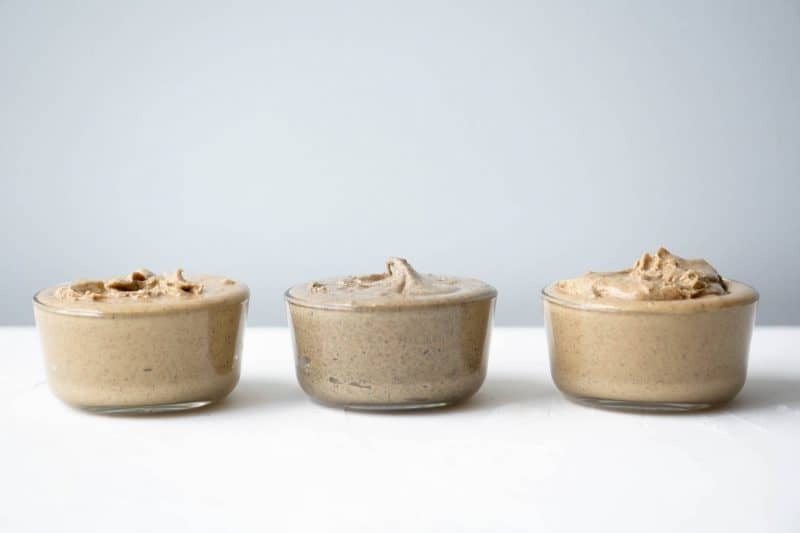 Following the base recipe for the almond cashew butter, you will find variations for maple (my favorite), honey cinnamon, and espresso. However you decide to make it, you certainly won’t regret it. Enjoy! Preheat oven to 350 degrees. Spread almonds and cashews onto a parchment lined baking sheet and roast for 8-10 min. Add to food processor (can still be hot), turn on, and add salt. You may need to stop and scrape down sides as it processes. Once the nuts break down to a smooth butter (approx. 10 min. ), stop and add the maple syrup. The butter will start to clump up, but leave processor running and it will soon break down again. 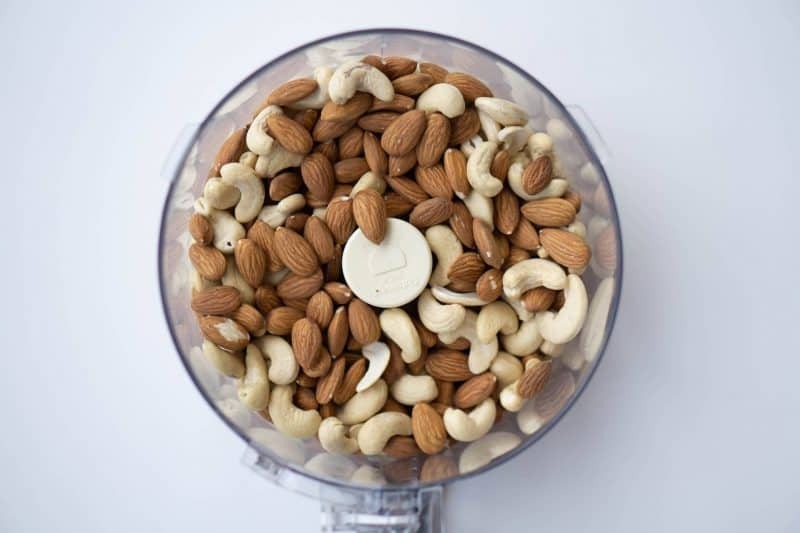 Run processor until almond cashew butter reaches desired consistency. 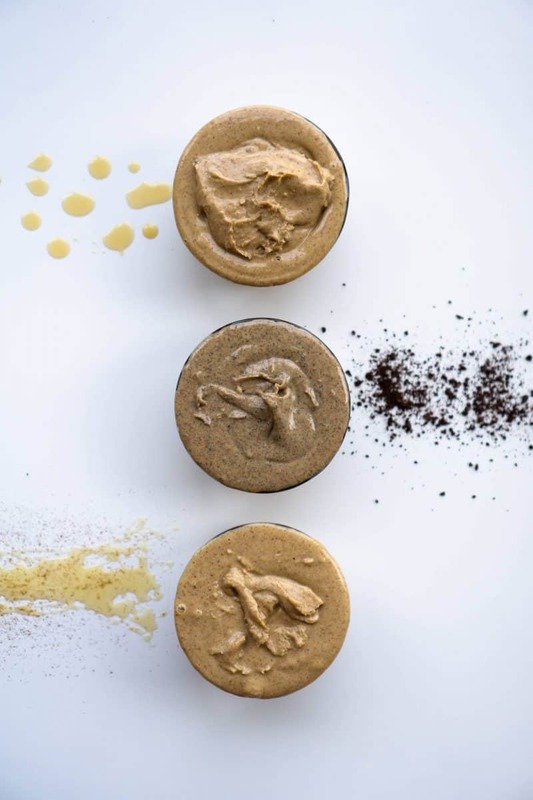 Love nut butters? 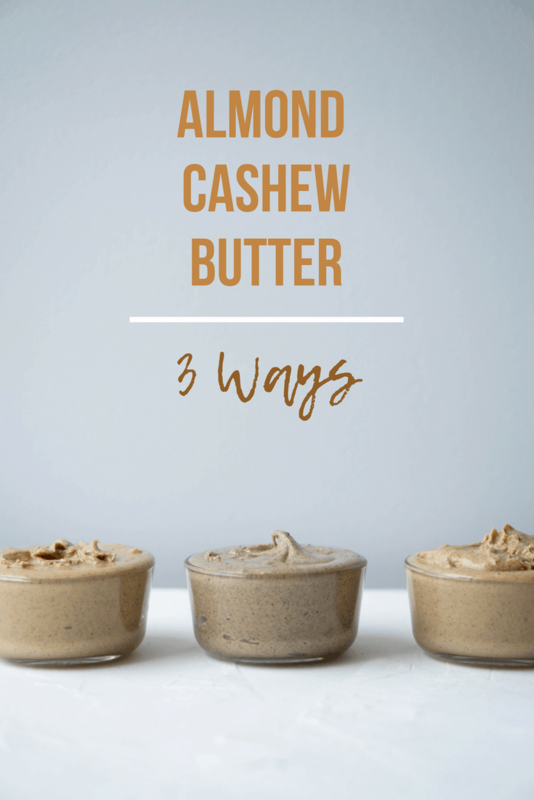 Here are three different ways to enjoy almond cashew butter at home! Yummm, the butters sound so good! I love almond butter but have never made my own, just because it’s cheaper to buy packaged butters than the raw nuts to make it. This is a wonderful recipe! It looks super easy and I know it tastes amazing!